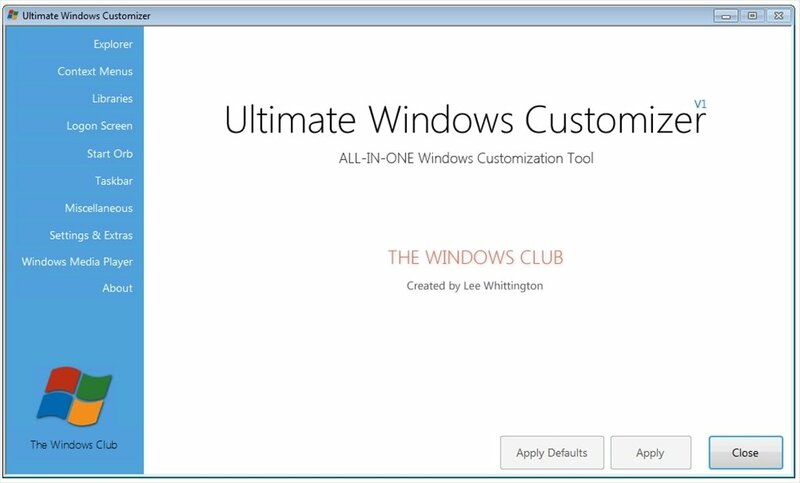 In the race to improve the features and configuration of Windows 7 you can now use Ultimate Windows Customizer. 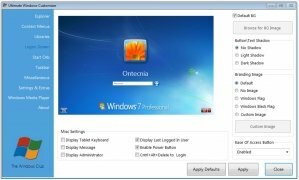 This is the latest development we know focused on Windows 7 and tries to provide a new visual aspect to the operating system modifying the aspect of various parts of the system: Start button, thumbnails, log in screen, toolbar, Windows player, etc. 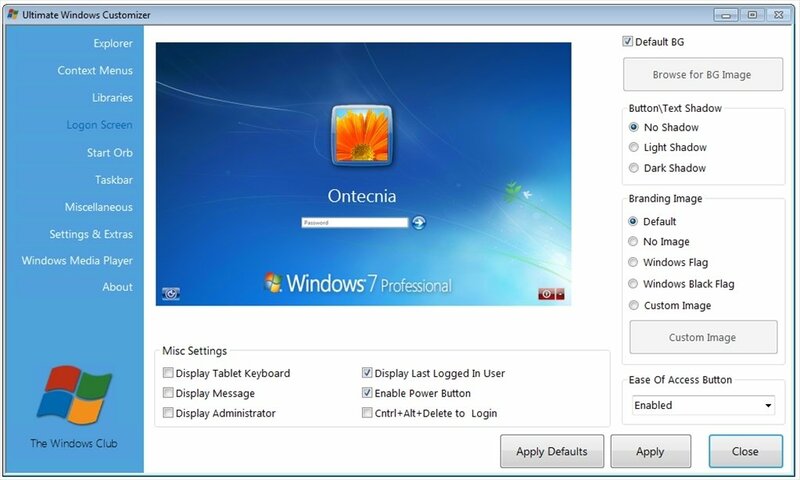 The first integrated system for Windows that offers everything that can be customized on Windows 7. 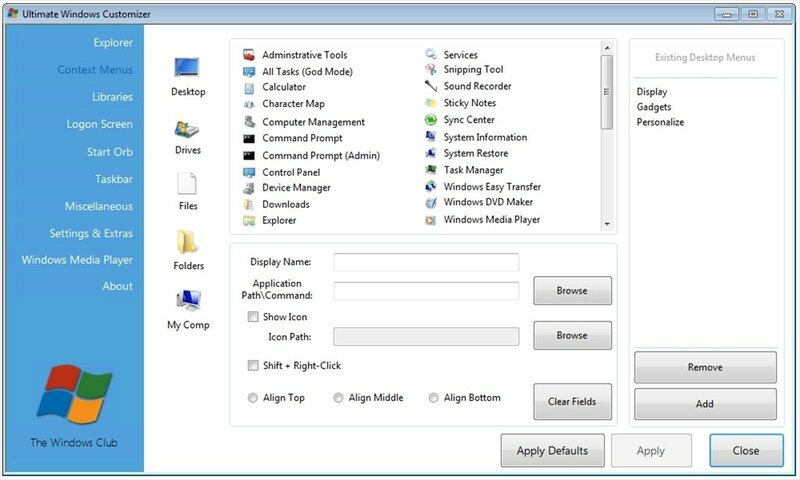 The first time the program is installed a security backup copy of all the PCs configurations is created to be able to revert the changes at any time. 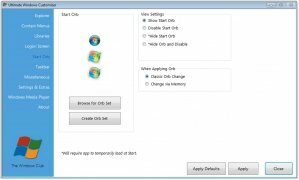 That is why it is recommended to uninstall and get rid of other settings and programs used previously by the user to modify the system. 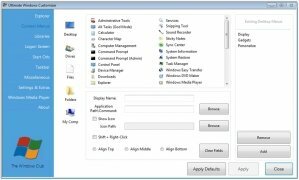 Each one of the parts of the system that can be modified has its own dedicated controls depending on the kinds of adjustments that are carried out. 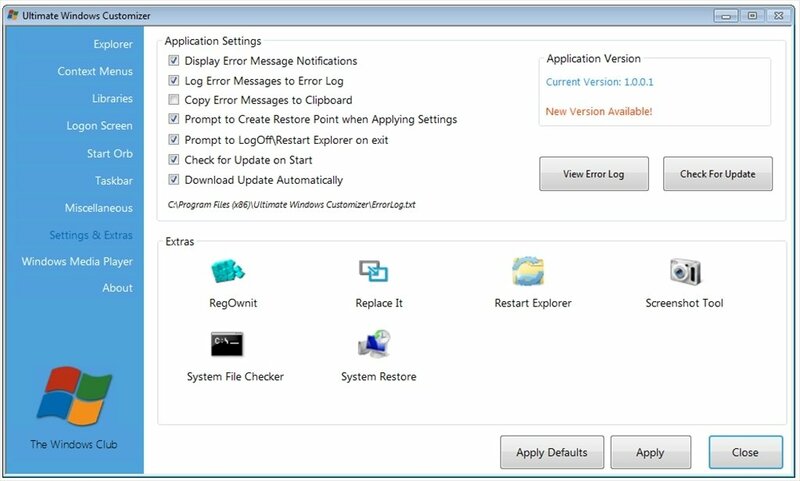 Any error produced is automatically registered on an error log that can be checked at any moment. Furthermore, they have input some additional tools that can come in very handy when it comes to using Ultimate Windows Customizer. 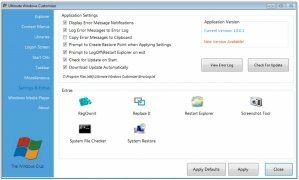 RegOwnIt: act on the Windows registry. 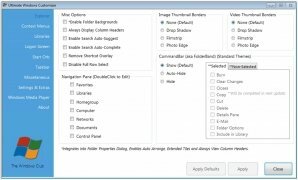 ReplaceIt: easily replace system files. 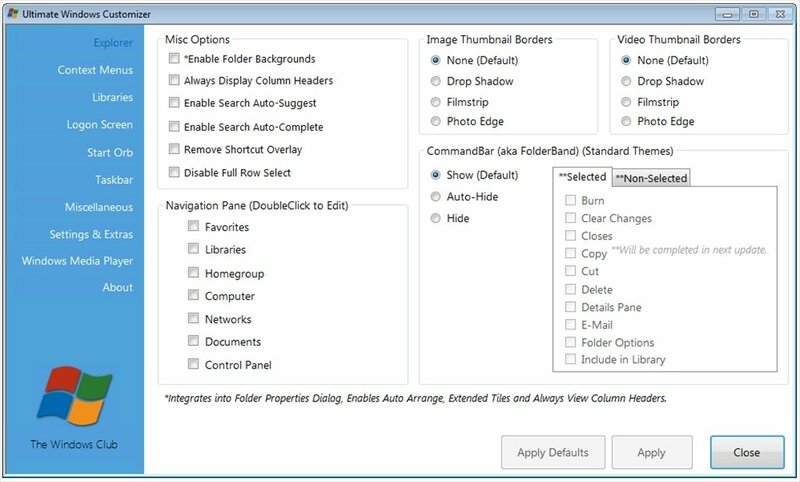 Restart Explorer: reboot Windows explorer whenever it happens. 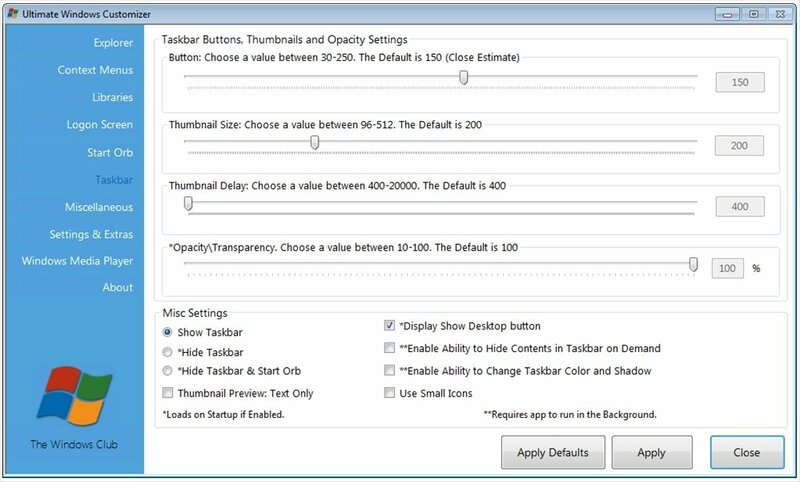 Screenshot Tool: take screen captures. 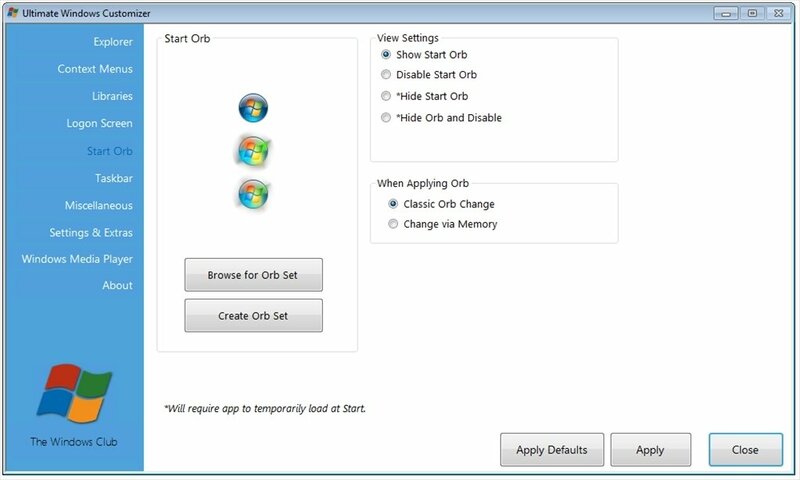 System Restore Creator: create a restoration point to get rid of the changes. 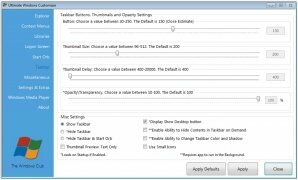 Download Ultimate Windows Customizer for free and improve the features and aspects of Windows 7.